Note: This is my first duology review! I've been wanting to do this for quite some time; to get my book reviews more bound up together. It's a little different than my normal book reviews but I'm digging it. I hope to continue and start doing some bigger series. 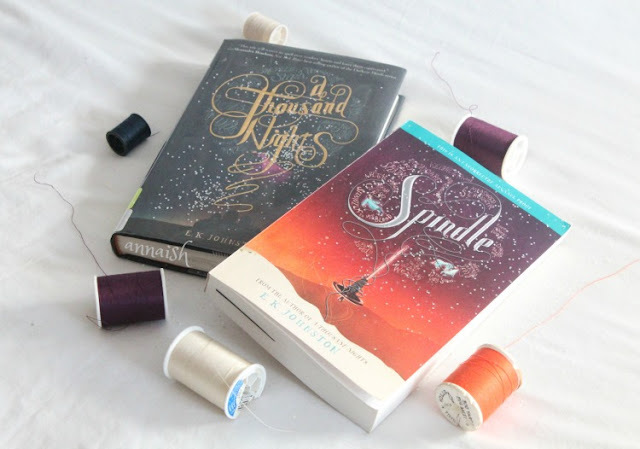 But, for now, enjoy my duology review for A Thousand Nights and Spindle. Yet, you won't find me reviewing the A Thousand Nights novella, The Garden of Three Hundred Flowers, in this review. I've yet to read it. An enchanting Beauty and the Beast retelling told by a powerful sister, in the harsh desert. I think I got everything right there ha! No, I'm kidding, I have much more to say about this gorgeous book. It took me a bit but I did enjoy the story. And I've had the pleasure to meet the author, which, made me love A Thousand Nights (and her other books) even more. So I didn't fall in love with this book right away. I mean, throughout the book, the plot moved very nicely. The characters weren't dragging or anything but the traditional writing took me a while to grasp onto. The book was written perfect for storytelling! But that storytelling, world-building stuff started out heavy and hard to concentrate on. After a few chapters, I did start to enjoy the rich storytelling. A thing I want to mention, a lot of the characters don't have names. Like the main character isn't called by her name, only nicknames. Again, another hard thing to grasp onto. Oof - kind of started negative here. But, hey, that's all I gotta pick at. The plot was captivating! A bit slow here and there yes but listen - our story starts in the desert, moves into Lo-Melkhiin’s palace then wraps up in the desert again. Everyplace the story moved on to, I was still enchanted by it. The pacing also was great and the story just weaved together perfectly, oh - I loved it. E.K Johnston has this thing with words and I just kind of sit there and drool. Haha! Before I gush over the plot more, I must talk about our nameless characters! Our narrator (also called Storyteller Queen but more on that in Spindle) reminded me of people who are sweet, kind, understanding but then one thing flips their switch and oh boy. You better be ready for trouble! I mean, Lo-Melkhiin waltzes in her life and wants to take her precious sister (her everything!) and she's like "oh no honey that's not happening on my watch!" Haha although, our narrator is already smart, brave and kind (a soft badass, so said) and even before she gets her "power up" (no spoilers! hehe!) I'm already in love with her personality and ways. A Thousand Nights is dual narrated so we see also inside Lo-Melkhiin’s head (literally hmm) which is interesting and, I found, a big key in the story. Also our narrator's family plays a part in the story, especially the narrator's sister. She's basically the opposite of her sister but they love each other to death. The whole family though was open and nice but felt closed off because they were just minor characters, which I can see why and went along with it. A Thousand Nights started out rough for me but turned into a delightful story! This book is one of my "runner-up favorites" which is a great thing. 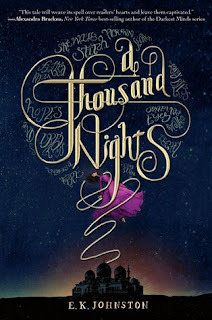 So if you're looking for a traditional written book with powerful siblings and cruses, A Thousand Nights is for you! Another note: My copy of Spindle is a ARC (advanced reading copy) so what I'm stating here (names, places, different wording, minor rearrangements) may not be in the published copy. Thank you! A exceptional Sleeping Beauty retelling told by a follower of three friends, in the shadow of the Storyteller Queen. 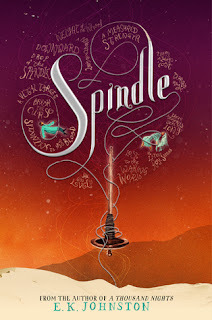 Alrighty, drum roll please, the big question here is: did Spindle live up to A Thousand Nights? My answer is no. I was disappointed! A lot of the big reviewers gave it high ratings and were saying things like "similar to A Thousand Nights yet completely different". Interesting enough, I do agree to those terms but at different standards. Before I get into anything, I wanna say I love E.K Johnston writing. Her writing so wonderful. It smoothly, weaves through the plot, dialogue, inner monologue, characters - everything. It clicked and I loved it. 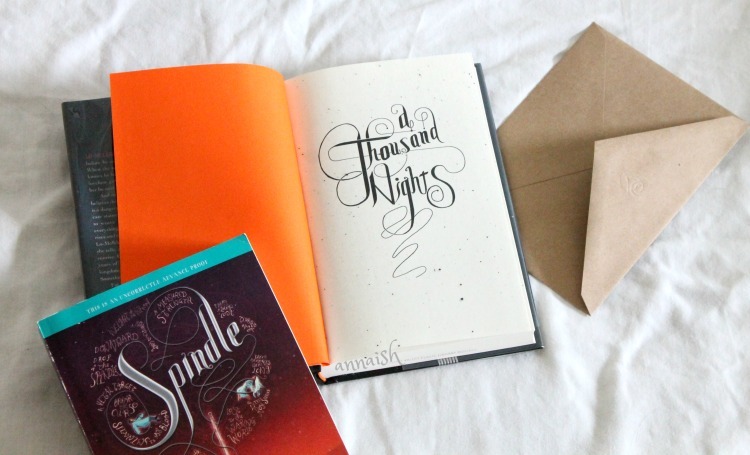 But my problem with Spindle is that it was trying to be like A Thousand Nights. I mean, I get it, Spindle is the companion book to A Thousand Nights. But ATN is a different story and I kind of wanted it to stay like that. Spindle is set generations after ATN and everyone is living in the shadow of the Storyteller Queen ... like it's a bad thing. Cities, palaces, friends and family are now divided and upset. All that work the Storyteller Queen put into was now ruined. Talk about frustrating, man. So starting Spindle was even more rough than ATN and, sadly never got better. The plot got to be slow and boring really quick. It's basically lots and lots of traveling and small talks with the characters. Without spoilers, it was like a big scavenger hunt. The pacing was ok but the plot was dragging it. It was, altogether, really dry. Now, the characters had more spark. The main character was my least favorite character (of course) and he was always angry. Angry at his mother, angry at the princess, angry at the Storyteller Queen, angry at magic - gah it got overwhelming. His friends and the princess were better, nicer, stronger but that's it. 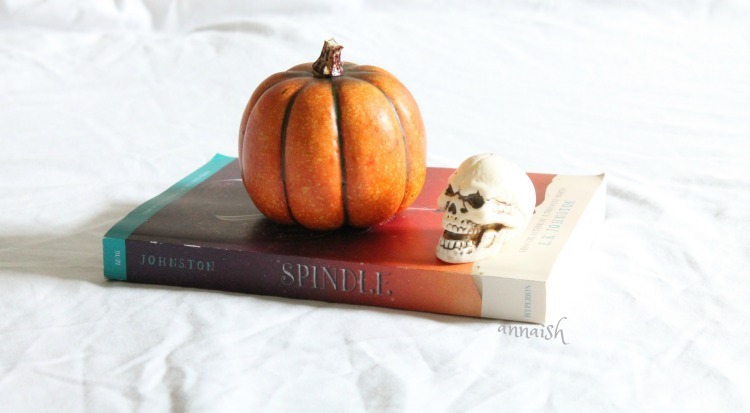 After reading Spindle, I felt like it wasn't necessary. It was a weak companion (or spin off?) of A Thousand Nights. No big battles, big heroes/heroines, big villains. It was small, delicate and surprisingly, focuses more on magic. I guess Spindle just wasn't my thing but it could work for you! 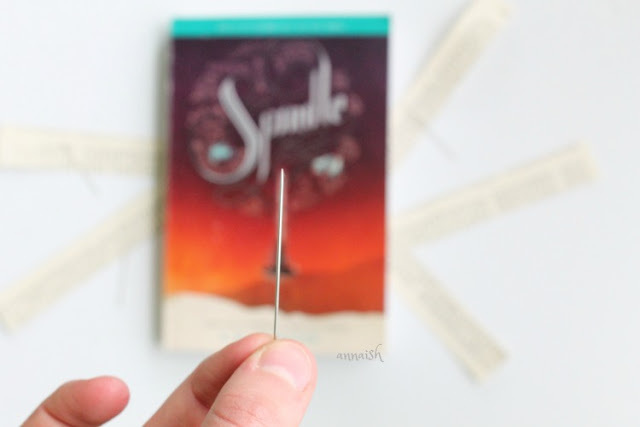 If you like slow-burning relationships, lots of traveling and magic then I would pick up Spindle right after A Thousand Nights. If I am honest, these reviews took a lot of thinking, mixed feelings and time - so my thoughts may be messy. I hope I made everything clear! Now, your turn, did you ever not enjoy a companion novel? Have you read A Thousand Nights and/or Spindle? If not, are you now? Let's chat about it! 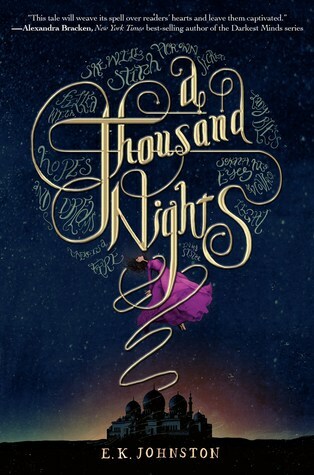 I read A Thousand Nights with high hopes and honestly I was a bit disappointed by it. I kept comparing it to The Wrath and the Dawn which I loved a lot more, and I just found it a bit boring. Plus I didn't really like the romance. Idk if I want to pick up Spindle. A Thousand Nights was released around the same time with The Wrath and The Dawn, and at that time, I picked TWATD and didn't regret it. TWATD ended up being my favorite book of 2016, while I read mixed reviews about ATN, mainly because it's hard to follow characters with no name. But thb, I still plan to read it because I love the real 1001 nights, so I have to read all retellings available xD Glad you enjoyed it though! Yep, a lot of people made the same decision as you did. Which is cool! But I can't relate because I haven't picked up TWATD and I only just read ATN last year. True, the "no name thing" is something you have to get used to. Haha alrighty! I hope you enjoy it then. Thanks! I tried out A Thousand Nights and didn't end up finishing it, but maybe I'll try it out again! Understandable! I do hope you give ATN another try. I'VE BEEN LOOKING FOR THESE BOOKS FOR SO LONG BUT COULDN'T REMEMBER WHAT THEY WERE CALLED, AHHH. The writing style looks like just the kind of thing I would enjoy, so I hope to try it out soon! WELL HERE YOU GO! GLAD TO HELP. Yay! Enjoy then.